The European Capital of Culture year of 2008 may be a distant memory, but Liverpool has not been content to sit on its laurels and bask in the glory of the good old days. This charming riverside city is the kind of place that makes every day a good one. Here are 10 reasons why you should visit the 'Pool. Giants first arrived in Liverpool in 2012 as part of a three-day outdoor performance art event called Sea Odyssey. 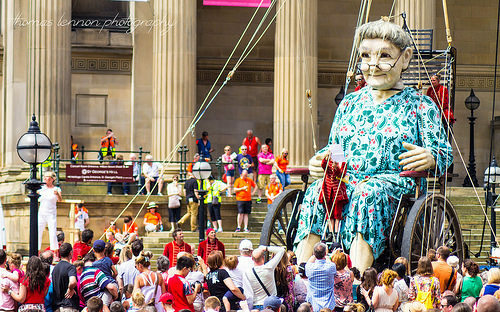 The city's people immediately took the giants (and creator Jean-Luc Courcoult) into their hearts, so it was of little wonder that they welcomed them back with open arms in 2014 to help commemorate Liverpool's involvement in WW1 (this time with Grandma in tow). The giants will next be seen in the Australian city of Perth in 2015, but there's little doubt that they will always have a home in Liverpool. Shop for giant souvenirs at Liverpool museums. Liverpool has long since been known as the birthplace of the 'Fab Four' and there are more than a handful of Beatles attractions to keep you entertained. It doesn't end with the Beatles though. Music is to Liverpool what rock is to Blackpool: part and parcel of daily life. Check out the city's musical pedigree for yourself in authentic venues like the Shipping Forecast, Parr Street Studios and Sound. Better still, time your visit to coincide with events such as Liverpool International Music Festival and Liverpool Music Week. It's not just about music. Liverpool is more than a little artistic. There's the big names of course: FACT, the Bluecoat, the Open Eye Gallery and TATE Liverpool. The latter being home to the largest collection of contemporary and modern art outside of London. That's not all. You can discover the city's creative spirit in numerous smaller venues. Spaces like Gallery and Arena Studios in the Baltic Triangle, Greenland Street's Camp & Furnace and Dale Street's Fallout Factory should appear on any visitor's must discover list. Bill Shankly may have said that Liverpool and Liverpool Reserves are the best two teams on Merseyside, but Brian Labone had a one liner of his own: One Evertonian is worth 20 Liverpudlians. Whether you come down on the red or the blue side of football, 2014 was undoubtedly a belter of a year for both teams. Some might say that the 80s glory days are soon to be revived. 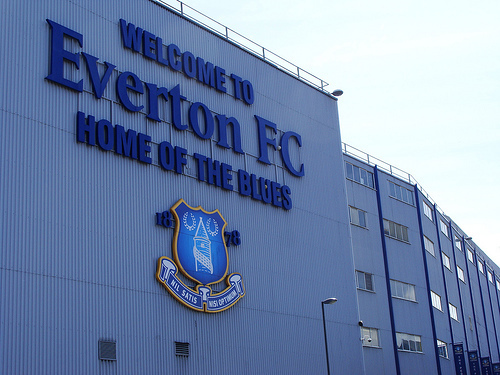 Get involved by grabbing yourself a ticket to the match or by booking a stadium tour. Not content with having two of the best teams in the premiership, Liverpool has two cathedrals as well: the Liverpool Anglican Cathedral (Britain's biggest and the 5th largest in the world) and the Liverpool Metropolitan Cathedral. It's free to visit the Anglican Cathedral, although at £5 a pop, the attractions ticket which includes the tower and audio tours are excellent value for money. The Metropolitan Cathedral is also free to visit, although you'll need to buy a £3 ticket if you want to explore the 1930s Lutyens Crypt. You've probably already cottoned on to the fact that Liverpool doesn't do things by halves and its museums are no exception. 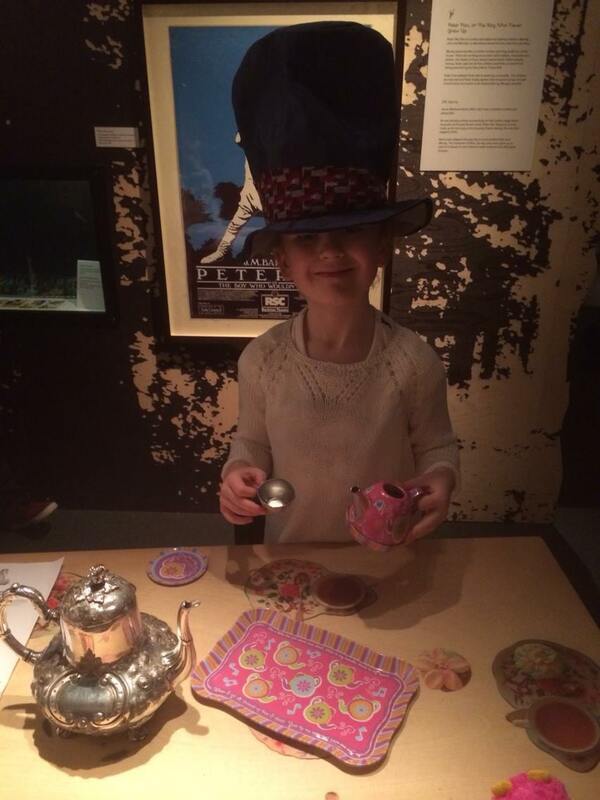 The better known museums include the World Museum (great for the kids) and the relatively new Museum of Liverpool, but your culture fix needn't end there. Make time to explore venues such as the International Slavery Museum, Merseyside Maritime Museum, the Museum of Liverpool Life and the Victoria Gallery & Museum. Self confessed retail junkie? You'll find it difficult to drag yourself away from Liverpool. There's the large shopping destinations: Liverpool One, the Metquarter, Cavern Walks and the City Central Bid area along Church Street, but you won't want to miss Bold Street either: Lonely Planet rated it as one of the country's best shopping streets. Still want more? Check out the numerous independent stores in Liverpool. You can get a great deal at these smaller stores by grabbing an Independent Liverpool discount card online or from Utility on Bold Street. The London Carriage Works, Pushka, 62 Hope Street: Liverpool is not short of tempting places to eat. Head to the upper level of Liverpool One for options such as Las Iguanas, Nandos and Wagamama or step away from the beaten track to discover local favourites like Yukti, Lady Jade and Neon Jamon. Still hungry? Wander over to South Liverpool to discover the choice of restaurants on Lark Lane: it's right by the beautiful Sefton Park and boasts one of the tightest clusters of eateries in the city. You can't come to Liverpool and not sample the nightlife. If it's a traditional pub you're after, you could do worse than head to Hardman Street where you'll find venues like Ye Cracke (of John Lennon fame) and the Pilgrim. Prefer to get your glad rags on? Seel Street's Alma De Cuba and the Albert Dock's Circo Bar might be more your thing. If you just want to dance the night away, the bars around Concert Square and Mathew Street will have you up on your feet and wishing you'd worn those flats after all. Talk about saving the best for last. Liverpool boasts a small fleet of duckmarines. The boats, aptly named Wacker Quacker 1 & 2, are out of action for the moment following an unfortunate sinking incident in the Albert Dock. What's a bit of water between friends though? The Queen's had a ride on one of these Liverpool icons, and if it's good enough for Her Majesty it's good enough for us. Don't be too disappointed though. 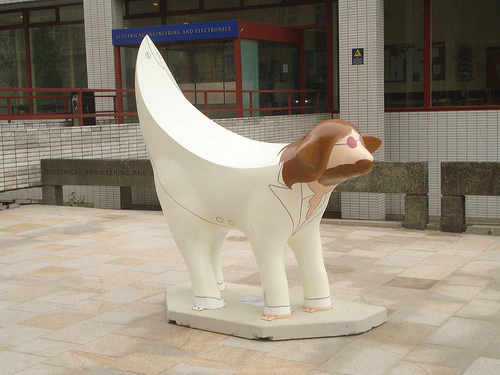 There's also the superlambananas. Only in Liverpool. The people of Liverpool have a well deserved reputation for being the friendliest in the world, so you're guaranteed a warm welcome when you visit. Want more information in the meantime? Subscribe to Linda Forshaw to have her latest Liverpool articles pop straight into your inbox.